Are you and your spouse to be a fun loving couple and your biggest worry is a dull and a monotonous wedding, which you have been witnessing since your childhood! A wedding just replete with ceremonies and nothing adding to the overall flavor. Worried of all those things?? Worry not!! We have got something for you… What you ask?? 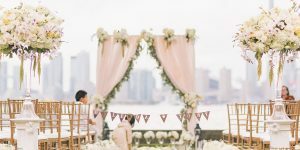 These days a wedding a wedding is not just a wedding swamped with ceremonial events, but has much more to offer than delicious delicacies, music, etc. to the guests. Now a wedding can be a complete package full of fun, masti, food, dance and so on and so forth. Gone are the days when things were so static, standard in nature. The major focus was only bride and groom and the ceremonies. But now in addition to the ceremonies, and other rituals of the wedding, couples want to start their wedding with couple of fun games, which not only add to the fun element but also make the whole environment more cheerful. And almost everyone become part of it which is a good way to engage people instead they are scattered here and there. Wedding games lit up the celebratory spirit of the event. Just imagine how boring it would be for anyone to have a flat wedding without any flair of fun in it. Oh God!! Believe me I have been part of one such wedding, two years back and I still ask myself how on earth I turned up for that. It was so boring that every time if something was happening it was just another ceremony all in all. No fun, no masti and for me wedding is more than an event full of celebrations. 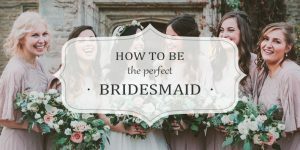 This article is predominantly for the couples who seek to have a wedding full of fun and joy. Who wants to make their life’s biggest event an unforgettable one! Adding up few games will be enough to make your wedding a memorable for one and all. Earlier the games were played when the bride used to reach at her husband’s house after departure. This is just to give an ease to the new bride, to make her comfortable in the new atmosphere. But now the idea is to make the overall event an enchanting event for everyone. Everyone should be treated specially. And if the wedding is a destination wedding then believe me wedding games are a mandate to keep your guests busy and engaged. Here in this article I am adding games for one and all including kids also. The main aim is to break the monotony, the boredom which start to inflict people in a wedding after a certain time. Actually, this generation wants more, you will find none who can settle in less, not even the couples want to have their wedding in same old ways like their parents or elders did for that matter. Games which I am listing here can be played in any function from mehndi to reception, or you can club them accordingly to make every function of your great grand wedding an everlasting memory. 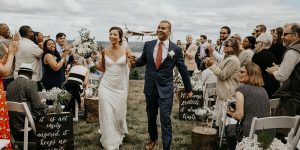 Here is a list of unique game ideas for you to make your wedding memorable and add a little festive fun to your D-day. Read on, and don’t forget to tell which you like the most! Indian weddings are not just a matter of one day it takes from two days to a week to finally conclude. No less than a festival in few parts of the country. Everyone who is part of a wedding enjoys it to the fullest. Gone are the days when the wedding meant only rituals and bride and groom, now it is way more than that. A complete fun package for everyone. Indian weddings are quite often divided into various events, out of which Pre-wedding, Wedding and Post wedding are the main celebrations. Pre-wedding includes Mehndi, Sangeet, Cocktail, etc. Lest’ see which all games can be played during all the events. Do you remember when you played Antakshari last? Well, Antakshari may be age-old but the charm it has can’t be replaced with any game on earth. Your house swamped with faraway relatives and guests. Already in the evening you must have dance performances as more often than not, mehndi and sangeet are organized on the same day. The music and the dance is already there but is that just you want. The fact is people don’t feel like sleeping during all the wedding ceremony nights. They are in playful mood and want to live every moment joyously and why not after all they have spared time for your biggest event to have some entertainment and change in their fast running lives too. So, Antakshari you can prefer for the night when all the guests will sit together in a circle facing everyone and can lit the atmosphere with this age-old game. It will be fantastic even today. Let everyone go down the memory lane, and this way you will get chance to listen to old melodies too. Keep everyone occupied joyously. Have fun!! Tambola not just limited to kitty parties now, people play it at homes also to remove the boredom and playing tambola at the wedding is amazing. This is a game where you can involve one and all present. Even your grandma will not hesitate to play the game for that matter. You only need to arrange Tambola game and play on!! It’s an absolute fun game, I personally like it a lot. Tambola is highly engaging and interesting. Make sure you include really funny gift items, can be used as a keepsake of your wedding by your wedding guests later. Also, don’t forget to assign the number calling part to someone who is more creative, inventive and prolific, it will add to the overall charm of the game, believe you! Cards are not just played in Diwali, you can also have few set of cards for your pre-wedding games, so as to keep your guests and yourself busy in having fun with cards. When there are too many people around it already becomes celebratory and if cards are added then the fun level reach to the next level. Playing cards is sometimes is super fun and an age-old practice of having fun. Try out at your wedding too. This is also an age-old game but the charm it holds still looks fresh and warm when many people of the family play it together. Not only this game make many people nostalgic but adds to the fun of the wedding. A nice way to involve one and all present at the event. I assume you know the rules. No! Arrange for the music system well in advance if this is the game you are planning, make everyone sit in a circle on the floor, have a music keeper, take a pillow and start who so ever will be the one catching pillow while the music stopped, make the person perform something any act, sing song or anything for that matter. It will take you to “Hum Aapke Hain Kaun” days I tell you! Have fun with music and people. Haldi in Indian wedding happens in day time followed by few poojas and rituals, what will all your guests do once your haldi and pooja is over, except to eat. Tug of war is a perfect remedy to this. It is interesting, will keep everyone engaged. Divide your guests in teams and let the war of tug happen!! You will be amazed to see their sportsman spirit in the game, even your aunt who complained about her knee pain because of traveling, will enjoy it to the fullest. Don’t you trust, try out yourself and see!! #6 Know Who Can Drink/Eat More! You can also arrange for an eating competition on your haldi day. Like from eating yummy, spicy golgappa to eating sweet circled jalebi, drinking cool sharbat to cold drinks. This will be fun seeing people galloping huge amount of food in their mouth and you will die laughing seeing their funny faces that very moment. And the deafening cheers from the crowd will make the show go on perfectly well in the most entertaining way. Also, if you want to add some spice to it then add chilly eating competition alongside. Don’t be afraid people eat chilies for winning the competition. ☺ ☺ You can treat them with their favorite sweet later. We all know how enchanting it becomes when we lay dumb charades, people from the different teams try to control their urge to speak up the correct answer when people from your team are not able to answer the correct one. The feel of victory in other team upon guessing the right answer is beyond words. Go speechless and play and make pothers play dumb charades at your wedding!! Scavenger hunts and the treasure hunt games are the most fun party games you can play! We used to play these as kids. As your wedding is no less than a huge celebration full of fun, food and celebration, what other reason you need to organize this game at your wedding too to make your wedding thrilling. Your wedding venue is the best place to organize this as place is not constraint. All you need to do is prepare a bunch of scavenger hunt or treasure hunt clues or riddles, hide them in various places throughout your wedding venue/location. Divide the guests in a group of two, three or four depending upon the number of people playing. Name each group, easy to know them that way. Hand over the first clue card to each group of guests, which has a riddle on it, and that will lead them directly to the next hidden clue card. Likewise, they will continue to search next clue cards on the basis of the one they have and it continue and leading to some exciting prize, surprise, or treasure at the end! Bingo!! The mesmerizing musical chair who wouldn’t want to play this age-old game. Which we initially started playing from our home itself. This another occasion of your life that is your wedding, arrange for the musical chair game at your wedding to make it memorable and a big entertainment for those who will be the part of it. Make it happen at your wedding to add more fun and joy to the overall event. Cocktail night and Karaoke real fun! I am not laying it on thick by calling it a complete package, this is one-of-its-kind fun wedding game of all time, and Karaoke is perfect for your sangeet, mehndi, and cocktail night. A combination of a bubbly drink with karaoke will make your cocktail night a super fun. Believe you me! This game will surely make your wedding event a fun experience for one and all present at your wedding. Guests sipping down those martini shots and singing to their heart’s content while others hoot and cheer along! More often than not, an ecstasy of any bachelor/bachelorette party is beer pong game, beer pong is a drinking game in which players attempt to throw a ping pong ball into cups of beer. Gaining its popularity in the most of pre-wedding functions. An absolute fun for adding to your bachelor/bachelorette party. You must have played truth and dare a thousand times now. But in your wedding you have to give it a different shape altogether to make it more interesting and the best way is to chuck the trust and dare it. This way you will be able to involve your shy guests up and active with dares made just for them! All you need to do is include a fun dare on the back of their name cards, like “Kiss the person next to you,” or “Take a selfie with someone you don’t know,” or “Compliment the most beautiful girl among the guests” etc. A lot to do! You must have played Jenga in a cafe or in a restro-bar for sure, the classic block-stacking game. Yes, I am talking about the same game at one of your pre-wedding functions! All you need is upgrade it from the traditional tabletop version and get or create a life-size set of blocks that friends and family can build and destroy and enjoy playing it. This fun wedding game is perfect to play on the day of Haldi ceremony. Who doesn’t like kite flying, kite flying has been in Indian culture since ancient times and still it hasn’t lost its charm. Even, in most parts of the country it is still in fashion. Believe you me kite flying is an art and I am sure all your chacha’s and mama’s must be excelling in the art of kite flying. Plan to have a kite flying competition at your wedding too which will involve all the relatives, friends and guests to have fun together. Indians are huge fan of kite flying. This Indian wedding game will give and adrenaline effect to one and all present. You will be mesmerized to see the competition and will miss if forever even after your wedding. If your venue has huge space you can also setup a badminton there. Easy to carry equipment and a vintage game will keep all your guests busy and entertained. It will leave no guest bored at the event. You may surely want to keep kids attendee busy playing otherwise they will get immensely bore of the event as at this age what kids like is only games and nothings else. And if you won’t provide them the game facility then surely they will run across one end to another creating trouble for other guests. Games for kids…. ‘A must’ to burn their energies and have celebrations without much commotion. You know hoola hoops, right? Especially children. If your mehndi function or haldi function is happening in an open lawn then you can have a hoola hoop corner and hopscotch tiles, where children can enjoy, even adults will not be able to resist themselves. A perfect wedding game for all age groups. You know this from your childhood right? Upon seeing this game at the party kids will immediately be tempted to get their favorite item. Easy for all age-group, and the excitement and happiness it brings to any kids face upon winning a prize or gift is worth it. All you need to do is make several big wedding rings of cardboard or steel and keep small goodies as gifts. Who so ever wants a gift, he/she can simply throw a ring around it and it’s his/hers! Wow, what a fun, even you will see adults helping their kids and having full fun. Who wouldn’t want to play this game, a perfect time-pass for any age group! Simply a fun, all you need to do is to arrange an extra-large version to add an unexpected twist to the classic game. If you want to match with the theme then you can have something like kisses and hearts in place of X’s and O’s to perfectly acclimatize it with the theme of the day. The best way to keep kids occupied for hours is coloring activities. Embellish each child’s place setting with a wedding-themed coloring book and box of crayons just for them. Or providing kids’ with dedicated table covered entirely in butcher paper so that kids can draw directly on the table. Isn’t it fun? Even your nieces and nephews will be busy and your sister and sister-in-laws can take full advantage of this opportunity. Another great option for the kids’ is to arrange for the building blocks or Lego centerpieces which they can pull apart and make their own creations, and will stay busy throughout the ceremony. Pinata, another way to keep kids occupied. You can also keep it on-theme by getting a piñata shaped like a giant heart, giant wedding ring, or any other symbol of love which can go with your wedding theme. Traditional ‘Juta Chpayi’ is age-old yet entertaining game for bride side girls to have fun to the fullest. In which bride’s sisters and squad steal the groom’s shoes and then ask for ransom against the shoes. Traditional game in which the couple is made to recognize the family members with the help of riddles. More often than not, the bride knows almost every member of the groom’s family. But grooms are little poor in that, they hardly remember anyone except the few close-ones. All you need to do to play this game is to get your riddles about the family members or a projector and laptop ready well in advance. For the riddles you can also use some photographs of family members from both sides and ask the couple to guess who the person is. It is not exactly a game but yes it does add to the flair of the event. Prepare a nice performance to present it to the guests. This Indian wedding game is as old as the hills. Apparently, the first game which comes in mind. It has become customary to play this wedding game after the newlywed couple come back home post their wedding ceremony. In this game huge deep dish or bowl full of milk, turmeric and rose petals is used, in which a ring is kept, and the couple is asked to find the ring from the dish. Thrice the challenge is took to finally declare the winner. It is said that whoever win this game gets the bragging rights to overpower the significant other in the marriage! Another game at home for newlywed couple is to find their names in each other’s mehndi. 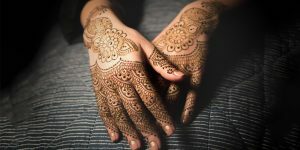 That’s why while applying mehndi in bride’s and groom’s hand it is made sure that the name of the groom is mentioned in between the entire mehndi design. This is also an age-old game played for centuries in Indian weddings to accustom new bride to the new environment. Another Indian wedding game is to prepare a questionnaire beforehand about the groom’s family members wherein the bride will be made to guess who the person is. First of all she is asked the questions so that she can open up with the family members and then to continue the game she is asked to ask questions from the family members. It is played in a fast pace just like the rapid-fire round of “Koffee with Karan” you must have watched that, right! All you need to do is, plan the game very well in advance not at the last minute and make the questions as entertaining and engaging as possible. In this game as the name says it all a string is taken which is dipped in some water and then 4-5 tight knots are made in it. Then the couple is asked to untie the knots that too with their non-dominant hand. For example if the groom or bride is lefty he/she will be asked to untie the knot with the right hand or vice versa. Basically both of them has to use their one hand only to do the needful, it is played to check the coordination between them. This is game is watching for the guests. And a very romantic way for the couple to unite while un-uniting the knot. To give the whole wedding a romantic touch, couple is asked to sing romantic songs for each other to let each other know how much they love each other. This is a very old and very commonly played Indian wedding game in most parts of the country. You must have watched “Baajirao Mastani” where in the very beginning when Bajirao comes after winning the battle his wife Kaashibai is asked to say a rhyme befitting on her husband’s named. This game is commonly played in Maharashtra. Wherein the bride is asked to fit in her husband’s name in a two-line poem. #31 Who Knows His Wife Well! This game has its origin in western countries but now it is gaining popularity in Indian weddings too. It is becoming one of couple’s favorite games to play after the wedding at the new house or at wedding receptions. In this game the bride and groom asked to take a seat back-to-back in front of all their guests. The groom will hold one of his shoes and one of his bride’s shoes, as does the bride. 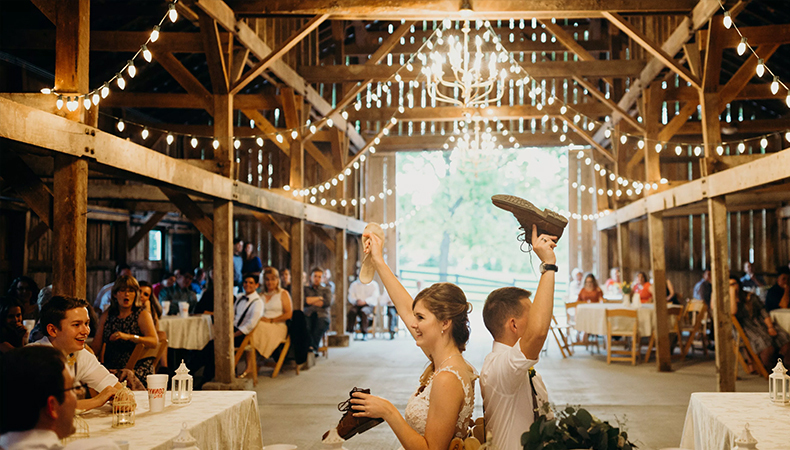 The coordinator or the emcee or the organizer acts as host, and the couple is asked a series of questions, for which the answer is either “the bride” or “the groom.” The bride and groom can only answer by holding up the shoe of the correct person. For instance, if the question was “Who proposed first” and the answer is the groom, they should both hold up the groom’s shoes. The game will last about 10 minutes having a series of 20-30 questions being asked. Who is quicker to anger? Whose phone battery has more of a charge? Who says I love you more? Who got the best grades in school? Who do you love more than anyone in the world? Like this you can form 25-30 questions or more for that matter to have fun at the wedding. This is an enchanting way to have fun all in all. This is played between the newlywed bride and the groom, there will be a host for asking questions or maybe and emcee for doing the needful. Keep the flow enchanting, the time must be just fraction of seconds, and the couple is made to answer the questions rapidly so that the fun element doesn’t miss! Which is important. All you need for this game is to decide multiple choice questions or fill in the blanks or true/false about the bride and the groom well in advance. Place the question sheet at each guest’s place. The coordinator or the emcee will then ask the guests to fill out the questionnaire whenever they like, and later, the emcee or the coordinator can read out the answers. Who so ever wins can take away the gift. The most romantic Indian wedding game of all time. You must have seen this dance many a times in a Bollywood or Hollywood movie and have dreamt of having some such ecstasy at your wedding too. Now is the right time, plan it for your reception. Mostly played in high-fi parties and also in the defense parties. In this game all the couples including the bride and the groom are made to dance on a piece of paper, which they keep folding after every song is finished. So, the smaller the paper, the closer you two get! ☺ ☺ Isn’t it romantic and cute! Another fantastic way to keep your guests’ engaged at the reception. For this you can transform a classic chalkboard into a creative word search. Write the letters in permanent paint and provide chalk to your guests’ only for circling words. The coordinator or the organizer needs to be very creative while including the details about bride and groom for guests to find. Easy, you can rent a poker table, set up around ten seating and hire a dealer if you are lucky to have some friend from the same forte ask him to do the needful for the night. It can be a big hit at your wedding reception. Try out!! You and your guests’ can have an absolute fun with this one, I tell you! Set up a dart station or a large canvas and attach balloons filled with paint on it. Make sure that the set-up is kept at a safe distance. Encourage and involve all your friends and family members to throw darts at the canvas which will pop and splatter the paint inside the balloons, it is not a new game to you, you have played this one-of-a-kind game before, but in your wedding reception this will add more fun that you will cherish forever. You must have seen photo booth in some event or a huge party, now you can also introduce it to your wedding. You can get it through any vendor or otherwise DIY culture is common create one of your choice filled with fun props for your guests to take selfies and group shots in. There are variants available from over- sized glasses to mustache sticks, or if you want to keep it classy then floral or ornate frames or signs that commemorate the wedding date can justify. Gone are the days when video games were played only in some cafe. Now you can have a video game set-up at your wedding too to keep your guests’ engaged in an activity having lot of fun. Also, have some goodies or small prizes for winners along the way, these prizes can be used by them as the keepsake of your wedding. There are many wedding reception games for guests to play straight from their table. These table games are perfect for cutting the first turf among guests who don’t know each other, or maybe for the time when they wait for the couple to arrive at the venue. These all are the games which will keep your guests busy when you two newlyweds are arriving late at the venue or when there is huge crowd at the buffet. Basically, all these games will keep them entertained and your wedding will surely be a talk among your guests’ for days even after the wedding is over. These games will also break the monotony of the event. If you think some of the games are missed, do not hesitate to update us! !